True zero-gravity recline, 4D rollers, L-track massage mechanism, back, calf, and foot heat, color LCD remote, and carefully choreographed sessions designed in Boulder, Colorado (the happiest city in the US according to National Geographic!) all come together to measure up to the best in the market. And at a price point many customers will consider worth investing in to enjoy in their own home. Do they pay for massages now? If so, the value proposition of having their own massage chair makes even more sense. FFL Brands would like to partner with you to floor the Positive Posture Brio– as well as a select group of other chairs, including the Panasonic MAJ7 and DreamWave M-Series. Contact us at sales@fflbrands.com to explore partnership opportunities to grow the health of both of our businesses with wellness solutions for a lifetime. Add a new category of wellness products to your floor. Develop a business solution with FFL Brands. 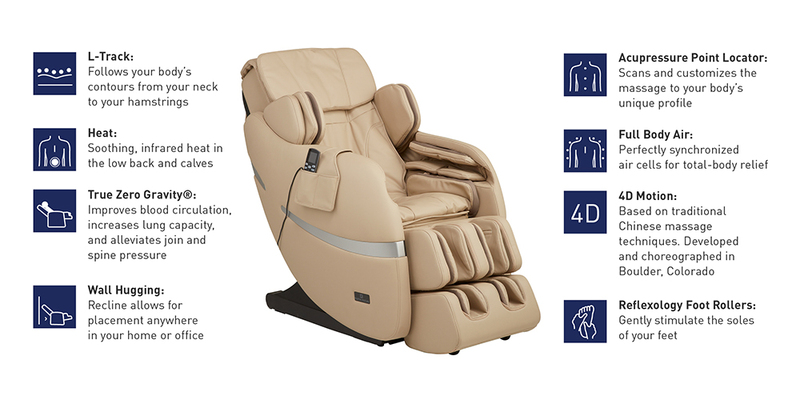 Now you can floor the highest quality massage chairs with minimal risk. You’ll also benefit from superior customer service, protected dealer markets, sales training and marketing support. Then watch as incremental sales grow in a brand new category! Reach out to a member of our team for more information!